Very wide sterling silver bangle. Product code: 1608 Categories: Sold Items, Sold Jewellery. 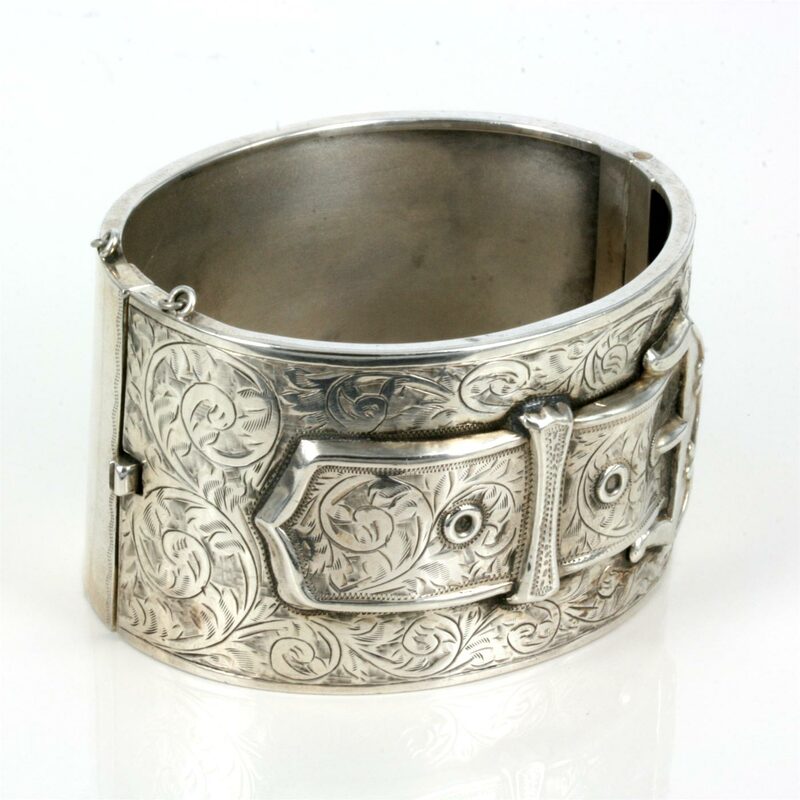 This is one of the most magnificent sterling silver buckle designed bangles that you will ever see. The hand engraving is simply extraordinary, and the width is simply amazing. Measuring an impressive 3.8cm wide, this silver bangle will certainly make a statement on the wrist, and being hinged sits nice and close to the wrist. It was made in Birmingham 1936, and is in fantastic condition, and this bangle is one that will always make a statement and amaze everyone.